The art of hand lettering and Happy Mother’s Day! We’ll get to hand lettering in a minute, but let’s start with Happy Mother’s Day! Even though I am a mother, it’s not about me. It’s about celebrating my own wonderful mother and now my oldest daughter who has become an amazing mom to two beautiful girls. And of course, all of my children are perfect reasons to celebrate being a mom. For as long as I can remember, I’ve had a creative nature. I loved to color and draw as a child. When I was 10 or 11, I learned how to crochet and before I was 13, I was crocheting scarves, afghans, and sweaters. Next came sewing in junior high, then cross stitch, decoupage, knitting, paper crafting and finally in my 30’s, I discovered quilting. That was the game changer for me. One thing I had forgotten until recently was the art of writing and hand lettering. I have always enjoyed writing stories, letters and journaling. And the process of writing each letter that formed the words was always a part of the creative process for me. I would play with my cursive letters and tweak them until I found the perfect “g” or “xyz”. Just recently, I discovered the world of hand lettering and I’ve been playing with the writing process again in a much more creative way. I can’t remember what led me to the book, The Guide to Mindful Lettering, by Lisa Funk, but it was one of those “aha” moments. Maybe not quite the loud voice of quilting, but something that has tugged at my creative soul nonetheless. As soon as I received my book, I dove right into practicing the art of hand lettering. This new”ish” art form is also known as brush lettering and modern calligraphy. I think the lettering process is similar to free motion quilting in that it takes hours and hours of practice to build up the muscle memory and fluid motion of making beautiful letters. I wrote a poem for my daughter, Kelly, for Mother’s Day and used my new (shaky) hand lettering skills to write it onto this lovely watercolored paper that I made. It’s definitely not perfect, but it’s the thought that counts. This is not a sponsored post about hand lettering. I’m just sharing my latest creative endeavor. However, the timing is perfect to add a plug for Craftsy Unlimited (affiliate link). They are offering free, unlimited access this weekend! – Stream 1,300+ classes free this weekend. – Unlock FREE Access to Every Craftsy Class. – Take advantage of everything Craftsy Unlimited has to offer, including thousands of expert-taught video classes in more than 16 different categories. 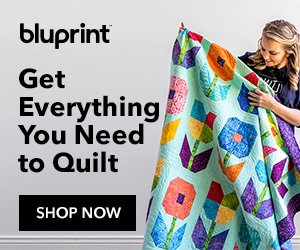 From quilting and knitting to baking and photography, watch as many Craftsy classes as you want and experience the thrill of unlimited learning and inspiration, totally free. Last month, I joined Craftsy Unlimited. I usually focus on the quilting classes they offer, but there is so much more! They even have a beginner’s guide to hand lettering. I hope you take advantage of this free weekend. Thanks for taking the time to visit today. I truly wish you a wonderful Mother’s Day weekend full of family and creativity. Beautiful words and ideas of inspiration, Julie! Wishing you a wonderful Mother’s Day! You too Julie, have a very happy mother’s day. Beautiful shot of you and your Mum, and a lovely pic of your eldest and her family. Happy Mother’s Day Julie! Beautiful post all the way around! Lovely Julie. Happy Mother’s Day to all who have guided others. I am happy! Cards from each of my girls and flowers from my son…can it get any better?!! Happy Mothers Day to you, Julie! I have been watching two classes since yesterday when I found out about the free weekend. It is wonderful that you have also mentioned it, everyone can take a class or two that they want. How fun you must be having learning so many techniques with the lettering. Your poem is just beautiful in every aspect!!! Continue having fun with the learning and your new book, plus a fabulous Mothers Day!